Impressive Lapis Pendant! This sterling silver pendant features a lovely Lapis stone surrounded by eye-catching sterling silver ‘dots’. 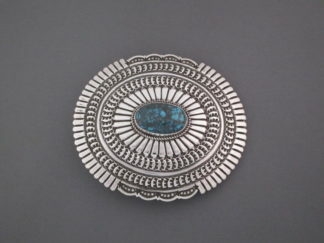 Made by Native American (Navajo) jewelry artist, Artie Yellowhorse. WOW! !